Dubai is a fantastic destination for a golf holiday as it offers a great climate, fine dining, luxury hotels and superb golf courses. 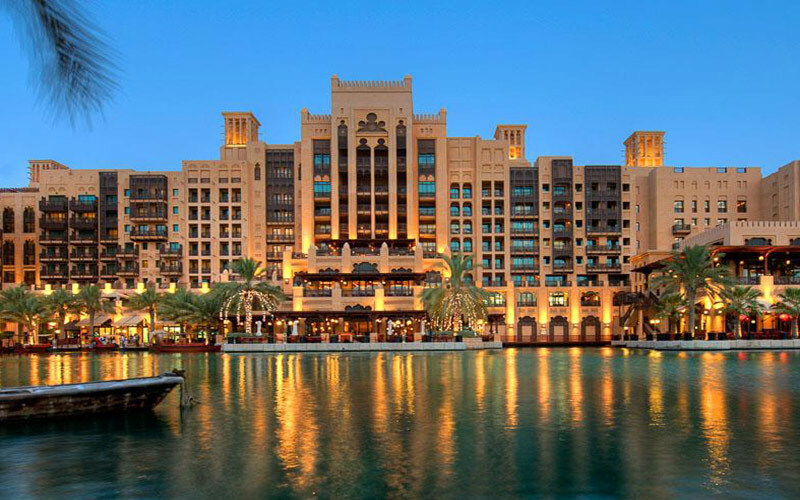 The service is first class in Dubai and there are some truly outstanding hotels to choose from. 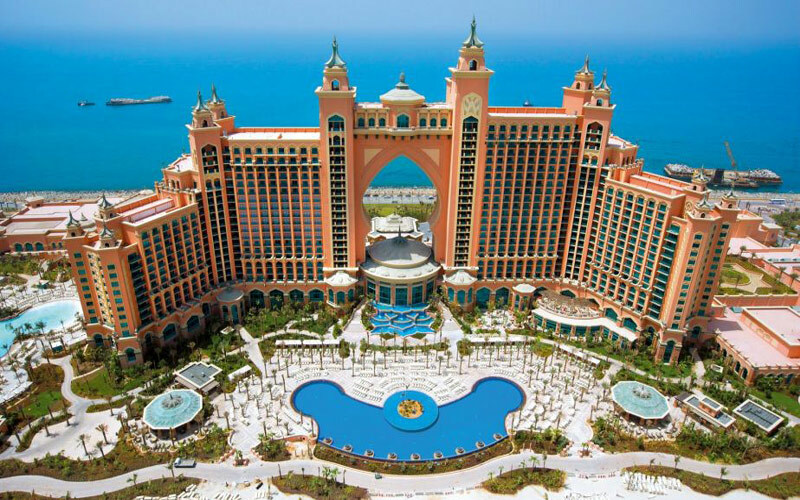 Atlantis is the majestic focal point of Palm Jumeirah, a man-made Island that has captured the world’s imagination with its magnificent scale and ingenuity. From the moment of arrival you’re immersed in a dazzling world of imagination, pleasure and luxury. The resort offers relaxation and thrills, including a landmark hotel, unique marine habitats, an exhilarating water park, pristine white beaches and world-class cuisine. All guest rooms and suites are designed with subtle oceanic and Arabian influences, overlooking spectacular views of the azure Arabian Gulf or Palm Jumeirah itself. If guests choose to stay in The Lost Chambers Suites, they won’t be overlooking the ocean – they will be looking into it. Floor to ceiling windows offer a spectacular view into the Ambassador Lagoon with exotic marine life gliding by. 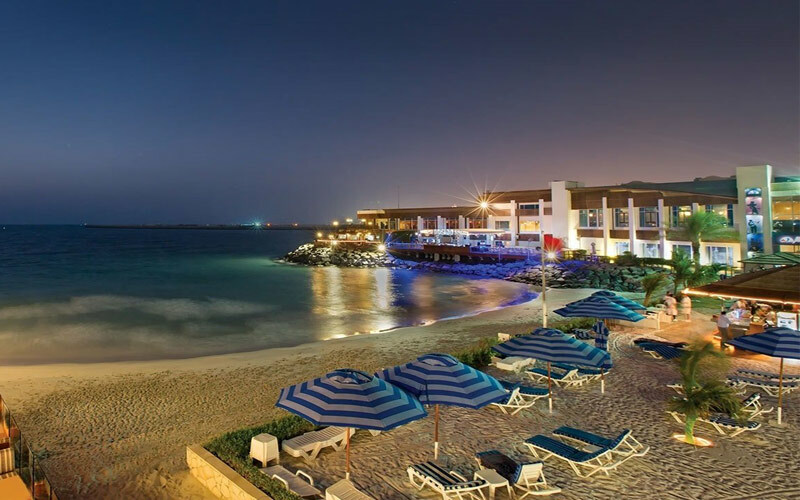 Set on the shores of the Arabian Gulf and built in a startling shape that mirrors a breaking wave, the award winning 5* Jumeirah Beach Hotel has its own private beach, with the Wild Wadi Water park located next door. 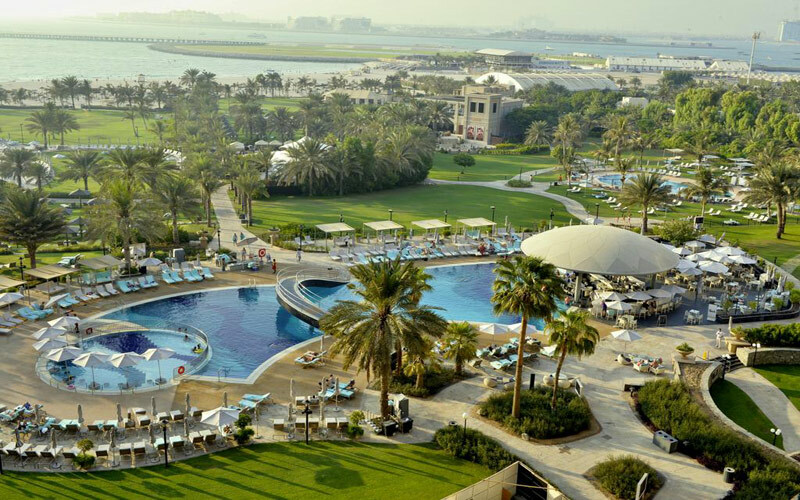 Set amidst beautifully landscaped gardens and the golden sands of the famed Jumeira strip, the 5* Le Royal Meridien Beach Resort & Spa is a gateway to the natural splendour of Dubai. Guests immerse themselves in the beauty of the exotic Arabian Gulf, as they kayak through the waves, sail across the blue waters and windsurf against cool breezes. Just a short distance away from the famous Emirates Golf Club and the exquisite shopping of the Mall of the Emirates, Dubai’s best sites await. The 5* Madinat Jumeirah, the Arabian Resort, offers a spectacular choice of guest rooms and suites throughout a resort of infinite variety. 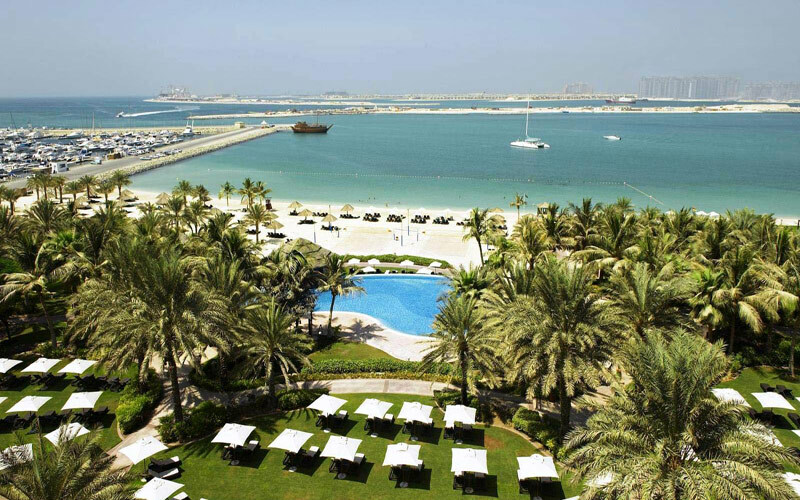 Water views are in abundance with many rooms overlooking the warm Arabian Gulf, others facing the meandering waterways and passing water taxis. Other rooms have a view of the lush landscaped gardens. All rooms have distinctive Middle Eastern themes and decorative styles – rich in pattern and colour. With 2 Grand Boutique Hotels and 29 Traditional Courtyard Summer houses, guests can choose from villa-like splendour at Dar Al Masyaf, to the palatial spaces at A1 Qasr to the sea-facing views at Mina A’Salam. All are luxuriously appointed and complement the overall authenticity and heritage style of the resort. 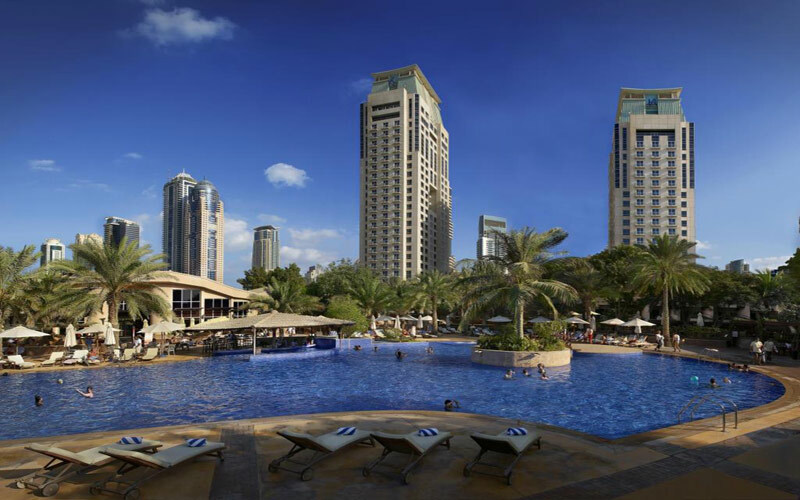 The luxurious 5* Habtoor Grand Resort & Spa is situated on Dubai’s world-famous Jumeirah Beach and adjacent to the magnificent Dubai Marina, meaning the resort occupies the most enchanting beachside location. The ‘Touch of Arabia’ is ever-present in the Habtoor Grand Resort & Spa in Dubai. The luxury Dubai beach hotel embodies the warmth of contemporary Dubai and the levels of service associated with Habtoor Hotels. Beautifully furnished, the rooms and suites feature comfortable lounge areas and superb bathrooms, creating a sense of tasteful luxury and warm Arabian style. The 5* Dubai Marine Beach Resort & Spa incorporates luxury living, succulent International Cuisine and a distinguished aroma spa. This unique resort has sprawling gardens, landscapes, a private sandy beach and twelve food and beverage outlets which will ensure a memorable holiday experience. The elegant contemporary and modern designs incorporated into the guest’s rooms create an ambience of absolute luxury yet retaining the spaciousness, comfort and sophistication. Located at the beginning of Jumeirah Beach Road, the Resort is only 10 minutes drive from the city. 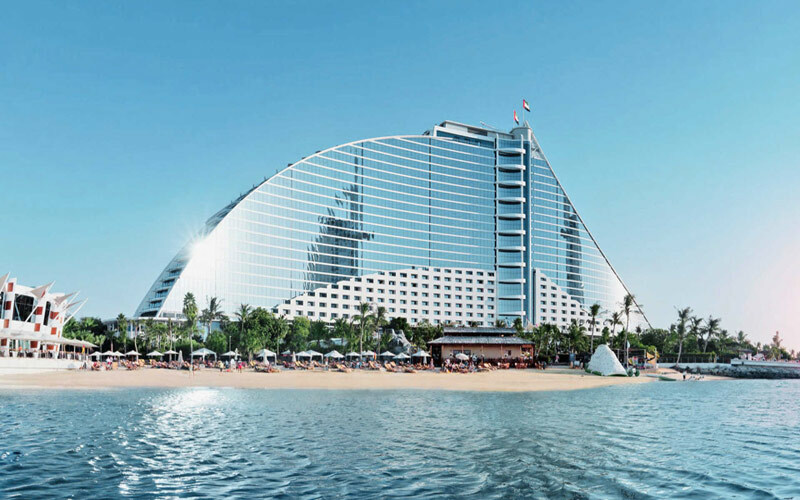 Overlooking the crashing cerulean waves of the Arabian Sea, the 5* Le Méridien Mina Seyahi Beach Resort & Marina is a jewel set in the modern, vibrant, and cosmopolitan city of Dubai. Located opposite the world-famous Emirates Golf Club and Montgomery Golf Course, the hotel is a boutique-styled luxury resort with 211 guest rooms. The hotel features include unparalleled outdoor facilities for up to 5,000 guests, 5 outdoor pools and eight restaurants and bars, including some of the most popular outlets in Jumeirah and Dubai. The 3* Regal Plaza provides impeccable service and hospitality to make clients feel comfortable and relaxed. 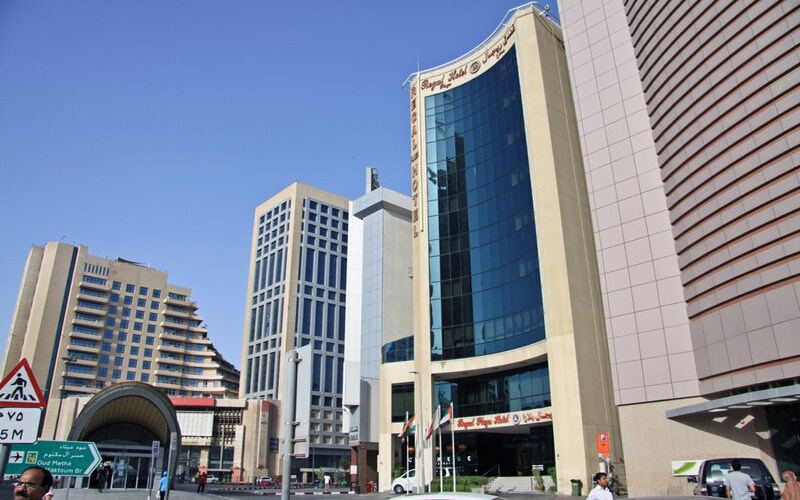 The hotel is in walking distance from the shopping areas and is centrally located in the heart of the commercial and banking area of Bur Dubai.